NEW! 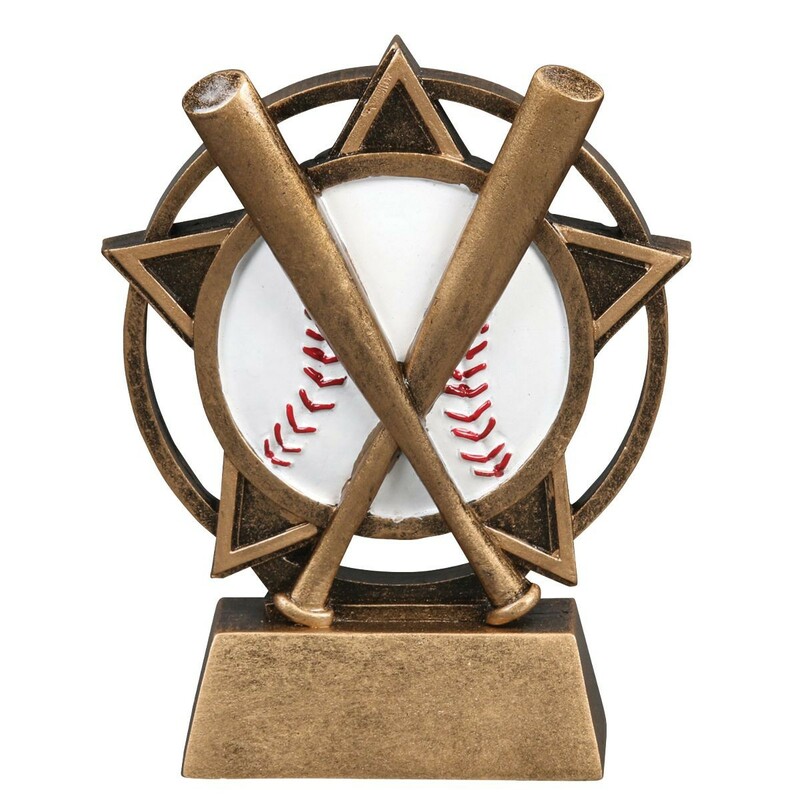 Stellar Baseball Trophies make the perfect little league baseball awards! Made of gold colored resin, these 4.5" tall baseball trophies feature a large star with a white baseball in the center. The base features three lines of custom engraving for FREE! Add your player's name, number, and team name to make this baseball trophy a treasured keepsake! Find the softball version of this trophy here!